When people talk about mechanical insulation, one of the biggest benefits they mention is energy savings. But how much energy can mechanical insulation really save? The answer to that question can be found in a study by the National Insulation Association and the Energy Department’s Industrial Technologies Program. The study assesses the possible energy savings in large and medium industrial facilities in the United States. The NIA estimates that mechanical insulation could deliver more than $1.9 billion in energy savings from simple maintenance of insulation in large and medium industrial plants. That is a huge number, and it doesn’t even incorporate the efficiency gains that could be made in small plants, the power sector or the commercial sector (hospitals, schools, government buildings). Those kinds of facilities weren’t included in the study. So how much energy can mechanical insulation save? An absolutely enormous amount on a national level. But $1.9 billion is a lot to comprehend. What chunk of that actually applies to your business? How Much Energy Can Your Facility Save? Determining the estimated energy savings of your individual facility is actually fairly straightforward. 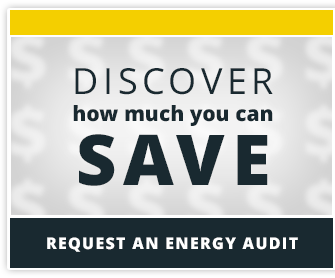 A certified Insulation Energy Appraiser can assess the current energy use of your mechanical equipment and calculate your potential energy savings with insulation. Keep in mind that this calculation is only an estimate; normally when I perform energy appraisals for my clients, I present the conservative end of the results. But the effectiveness of insulation can be dramatically increased with proper maintenance.